Bring back the bees and help end colony collapse disorder. We’ve been losing our bees at an alarming rate and need to reverse the trend. 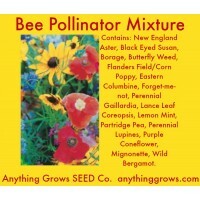 You can help by sowing this attractive, beneficial mix! 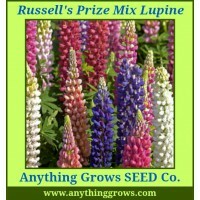 A balanced blend of self seeding annuals and hardy long lasting perennials. Contains: New England Aster, Black Eyed Susan, Borage, Butterfly Weed, Flanders Field-Corn Poppy, Eastern Columbine, Forget-me-not, Perennial Gaillardia, Lance Leaf Coreopsis, Lemon Mint, Partridge Pea, Perennial Lupines, .. This Semi-Shade Wildflower mix has been designed for those areas that receive only 4 to 5 hours of filtered sunlight per day. An eye pleasing blend of self-seeding annuals and hardy perennials that produce flowers in blue, pink and yellow hues. Mature garden height ranges from 15-90 cm (6-36"). 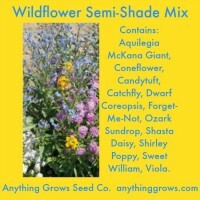 Contains: Aquilegia McKana Giant, Coneflower, Candytuft, Catchfly, Dwarf Coreopsis, Forget-Me-Not, Ozark Sundrop, Shasta Daisy, Shirley Poppy, Sweet William, Viola. How To Grow..
Perennials of color. Russell's Mix is one of the most decorative perennial plants thanks to its tall stalks bearing large flowers in a number of brilliant colors. Shades of pink, bronze, rose, red and blue look gorgeous in a fresh cut bouquet or in your garden. Low maintenance plant. 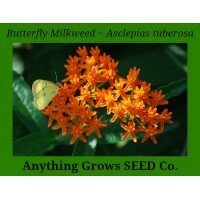 ..
Butterfly Milkweed (Asclepias Tuberosa). This North American native has clusters of orange-red flowers that attract variety of butterflies, including the treasured Monarch. A perennial (to zone 4) growing 18 to 36" tall, it requires well-drained soil and prefers full sun. The wind will carry the fluffy seeds great distances. Wintersow in a cold frame, or cold moist stratify for 4 weeks in moistened sand, then germinate warm. 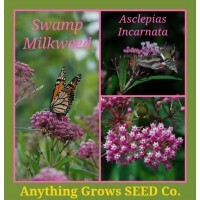 How To Grow Sow seed indoors in ..
Common Milkweed produces a profusion of sweet-scented lavender flowers in mid-summer and is the mandatory food source for the caterpillars of the Monarch butterfly who feast on the leaves. Growing well in any well-drained soil, it does spread rapidly by rhizomes so it is best planted in a large area with other wildflowers and native grasses. 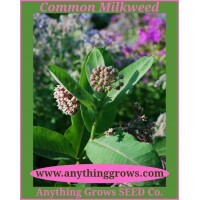 Grow Common Milkweed this year to attract Monarchs to your garden! How To Grow Naturally stratify seed by sowing directly outdoors in the.. Swamp Milkweed (Asclepias Incarnata). Grow this North American native for the sweet scent, the butterflies, bees, and the beautiful mid- to late-season colour. Allow the Monarch butterfly larvae to munch all the leaves they want and watch them pupate over the winter— the plant will return next spring. 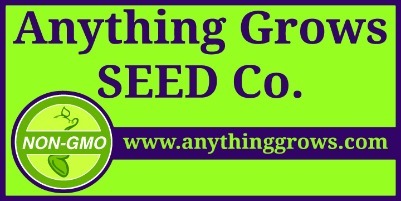 Easy from seed with winter-sowing. Won't reliably re-seed in one area, since the fluffy seedheads travel long distances in the wind. Extremely hardy, but not the best ..